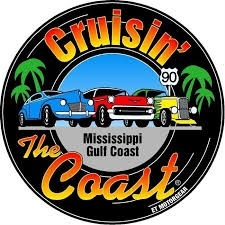 Car enthusiasts from 40 states plus Canada, Germany and Puerto Rico arrive on the Mississippi Gulf Coast once a year to showcase their rides and to cruise our beautiful 30-mile stretch of beach-side highway with designated stops in Bay St. Louis, Biloxi, D’Iberville, Gulfport, Pass Christian, Ocean Springs and Pascagoula. Each venue is set up as a mini festival with a stage for live bands, reserved parking for registered cruisers, spectator parking, and vendors for food and event merchandise. The event has grown from 374 registered vehicles in 1996 to a whopping 8,3808 registered in 2017! Learn more about "America's Largest Block Party"